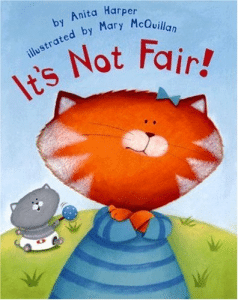 It’s Not Fair is a story that all children with brothers or sisters can identify with. It touches on all the typical situations where kids feel that their older or younger sibling is being treated better than them. It’s a great story for sharing experiences. What an excellent opportunity to introduce the English they need to express themselves. This story connects well to the topics of Family and Daily Life.